There are so many reasons to celebrate in Los Cabos, and although we design a lot of custom wedding décor, our team also loves creating unique party décor for birthdays! 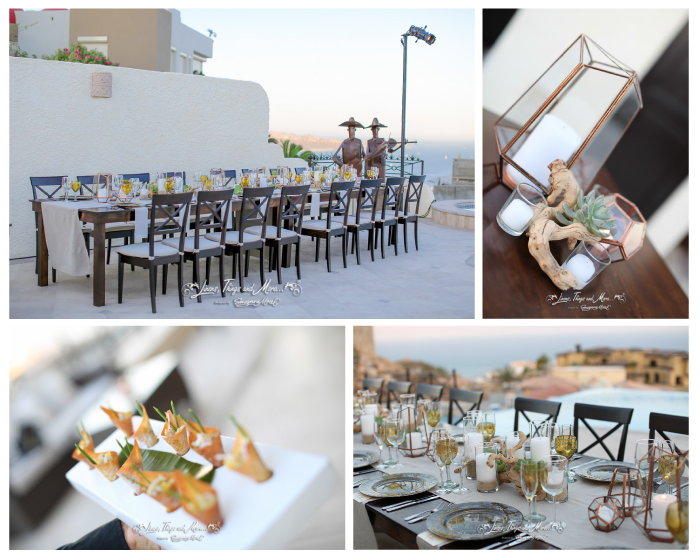 We recently did a special design for a private birthday dinner here in Los Cabos, and we think you will agree those extra finishing touches are so important when you’re celebrating a milestone occasion with your friends and family! Our design team worked closely with a soiree hostess from Creative Destination Events to cover every design element of this party. We kept the décor clean and masculine, with dark wood elements, driftwood and succulents on the tables. 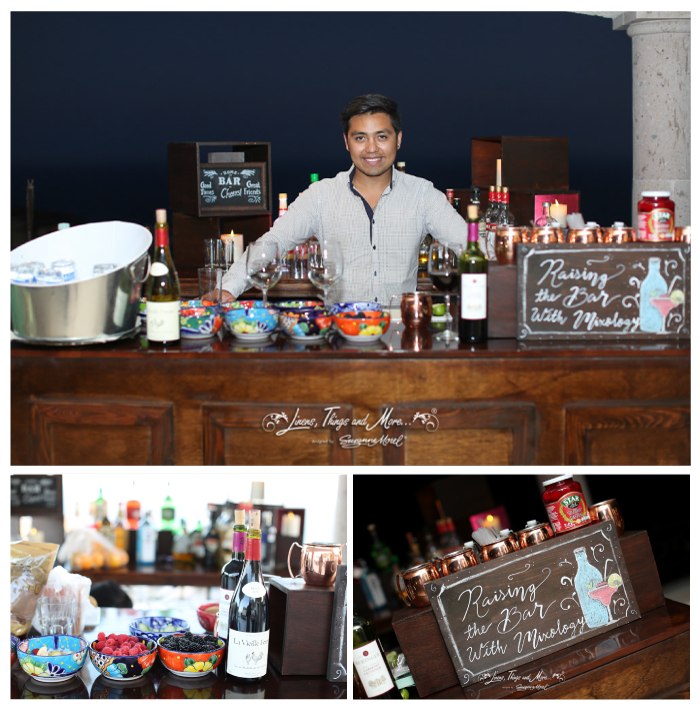 The mixology bar was a key element of this décor set-up, and it was such a hit among guests! From the hand-lettered signage to the handcrafted cocktails, a mixology bar is a great conversation starter and a wonderful way to treat your guests to delicious, made-from-scratch beverages! Whether you are hosting a large group or just a few of your favorite people, a touch of our custom décor and couture linens will go a long way towards making your celebration in Los Cabos truly unique and memorable. This entry was posted in A Matter Of Taste, Accessories and decor, Cabo event design and decor, Cabo Wedding planner and coordinator, Creative Destination Event Company, Special Event Decor in Cabo, Weddings and corporate events decor and tagged A Matter of Taste catering, Cabo birthday dinner, Cabo couture linen rental, CABO DECOR RENTAL AND DESIGN, Cabo party design, Cabo party planner, Cabo party rentals, Cabo private birthday, cabo private party, Carlos Aboyo photographer, driftwood centerpiece, mixology bar in Cabo, party hostess in Cabo, succulent centerpiece.